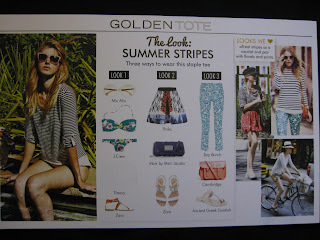 I'm always so excited for the Golden Tote sales to open each month! Golden Tote was started by the owners of the clothing line Puella, which is sold at Anthropologie among other retailers. Their clothing is made from super soft materials and is beautiful, so I was super excited to try this when I came across it. Each month for a week you can shop for 2 tote options. One option is $49 and you choose one item from approximately 4 and they send you 1-2 additional items chosen by them. The other option is $149 and you choose two items from approximately 8 and they send you 4-5 additional items chosen by them. You set up a profile with your sizes and likes/dislikes, so they have something to go by when choosing your items. Each month the items offered change, so you need to come back every month to see what they have! For July the sale will start on the 22nd!!! They also sell items from the golden tote boutique that you can order anytime during the month. I was nervous to try this at first and searched for reviews from past sales to see what people received. I liked what I saw, so I gave it a try and first bought a $149 tote choosing 2 items that I loved! When the tote arrived I expected 1 or 2 items to not fit or not be my style. I was pleasantly surprised and loved everything!!! The Puella pieces were among my favorites. I ordered another $149 tote again the next month, and loved everything!!! Now I'm hooked and today I'll be reviewing my $49 tote from June! Inside the tote you'll also get a style card about the item you chose and examples of how to wear the item a few different ways. Ok....the first item in the tote is the shirt I selected. 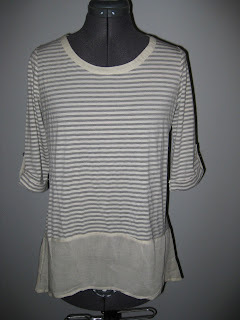 It is a Comme Toi Striped Pretty Peplum T-shirt. I thought this shirt would be perfect for my upcoming beach/sailing vacation! It came in two color options, navy or grey. 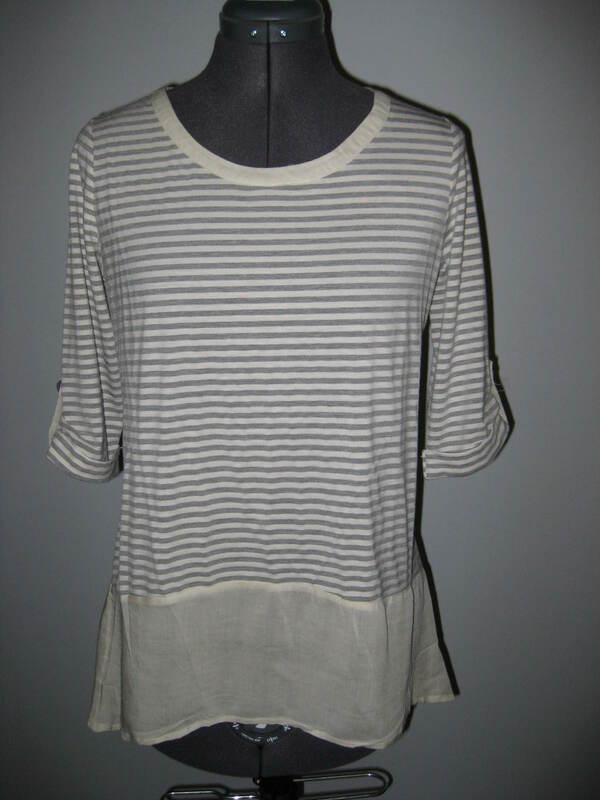 I chose the grey/ivory striped. 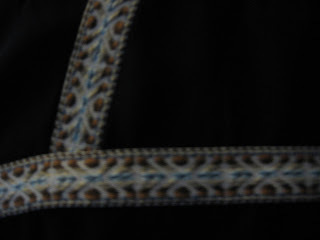 It is a super soft material with a shear ivory material at the bottom. 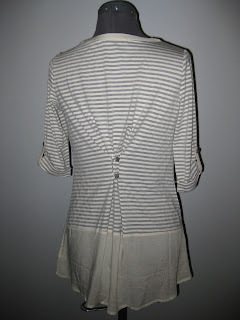 I love the button detailing on the sleeves and in the back. 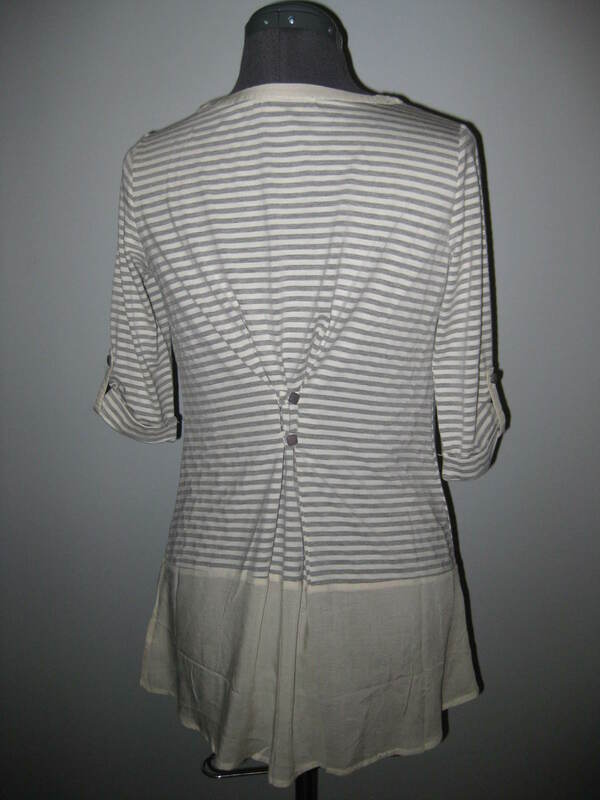 The back detailing makes the shirt fit perfect. Not too tight or too loose. It gives it just the right shape! I am very happy with this shirt and can't wait to wear it on vacation!!! 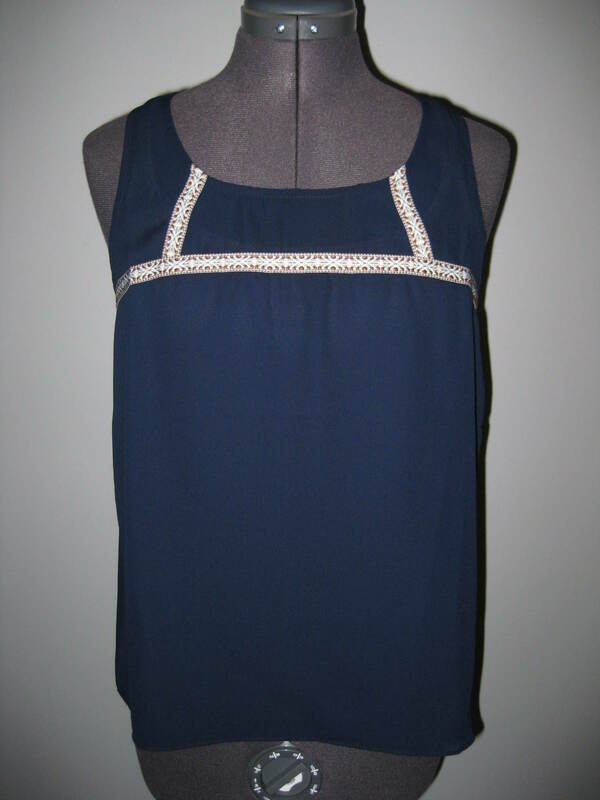 The next item I received was an Under Skies Navy Tank Top with ribbon detailing. This shirt is kind of plain, but I can see it fitting into my wardrobe nicely for work or weekend wear. I see myself wearing it with some wide leg trousers and a slim fitting blazer for work! And a cute flirty skirt for weekends! The last item in my tote was a D&Y Scarf. 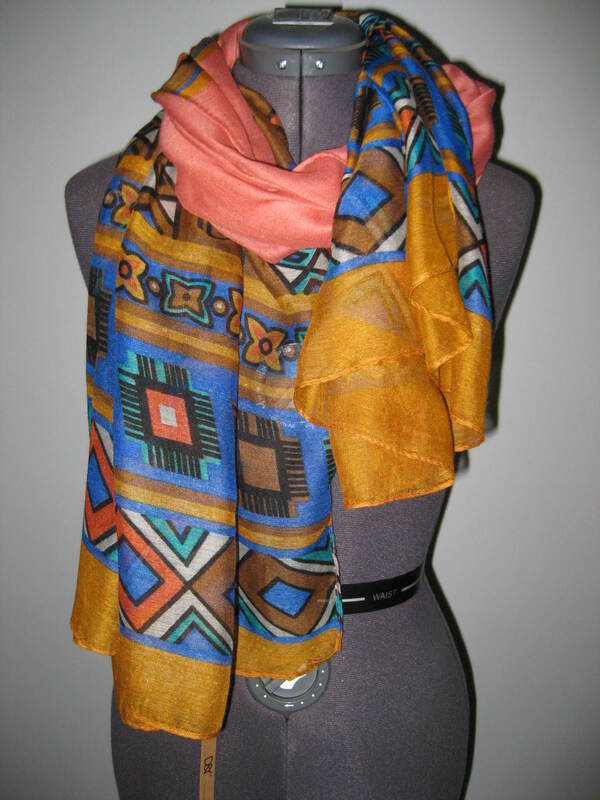 I was hoping I wouldn't get another scarf as I had received similar scarves in both the $149 totes I ordered in previous months, but I like the color of this one and will wear it. I'm trying to find new ways to tie scarves so they look different! I have so many, but don't wear them too often. Although, I did see other reviews for June and they received a super cute anchor scarf, that would have been adorable with the shirt I chose!!! 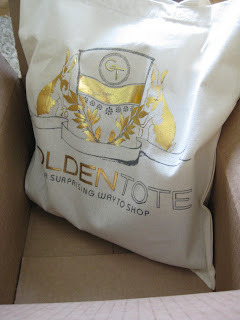 I am happy with the items I received, but was slightly disappointed because I received an email from Golden Tote while waiting for my package to arrive that included a spoiler dress that may have been included in the tote. I fell in love with this Puella dress and was a little sad I didn't receive any Puella items in my tote. But the good news is.....they may be offering the dress as an item you can choose for your tote in July! If that's true you'll be seeing another review for Golden Tote next month!!! Do you shop Golden Tote? What do you love about it?? ?